From tops to jeans to bags and shoes, anything embroidered is everywhere this spring. 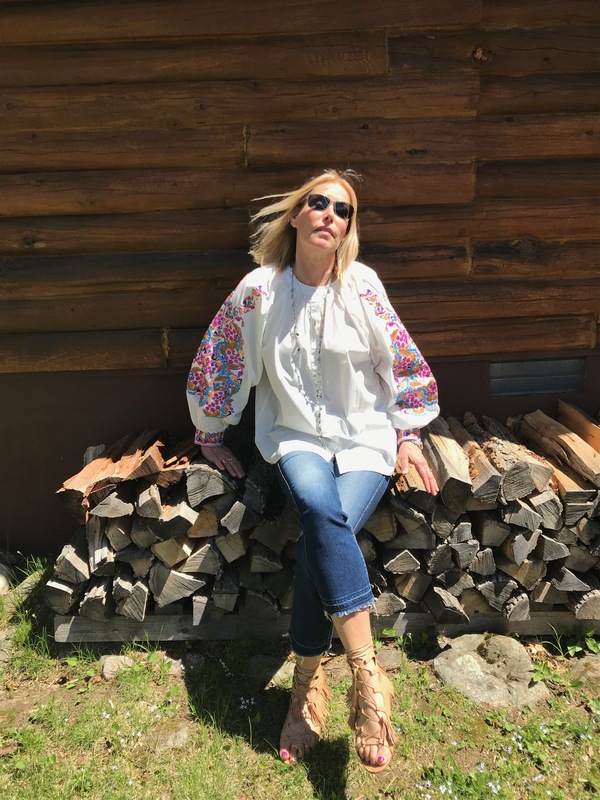 I especially love the colorful, bohemian touch it brings to this fantastic and fantastically affordable blouse. I’ve added it to my Adirondack wardrobe, but it would be equally at home and on trend in the big city.